What do you think of the new vanilla shake? We have improved our vanilla shakes and we are curious to hear your thoughts! Feel free to share your honest experiences below, from texture to taste to anything else you want to share. Unfortunately, for me it's a bit and of a let down. I was a big fan of the previous taste. Now it's hard for me to even take a little sip. It has a kind of a chemical taste to me. It also smells weird. In case you'd bring back the previous taste, I'll immediately place an order. Same here, I just loved the previous oaty vanilla taste. Now it tastes somewhat like cookie dough and milk. Are there any chances bringing the old one back? The new taste was a big disappointment to me. I used to look forward to having my shake at lunch, now it's almost the opposite. Maybe it takes some time to get used to the "real" flavors, but I'd prefer the vanillin. I will probably switch to banana if the flavor stays this way. I have a similar experience to other users here, i used to really like the old oaty vanilla flavor but i can't even finish a shake of the new one. I pay double price for bringing the old vanilla shakes back! The blog says "oaty vanilla update"
For me it's a downgrade. Even after 10 shakes, it tastes bad. And i miss the vanilla smell when i open the bag. Almost no vanilla smell with this new vanilla. I try many different brands, and jake has the best taste shakes, especially the old vanilla taste. "Please" don't change the taste of forest fruit and banana! These 2 flavors are still by far the best taste, compared to other shake brands! Must admit I prefer this one. It's less sweet and thick compared to the old version so I can use less water. I have a few left over from the old batch so I'll use those after being on the new ones for a few weeks. That should give me a good comparison. Just got my 3th Order after the trial version and 40 Sport Oaty Vanilla.. i decited to walk the walk and ordered 80 packs ..
Didnt know about the taste change... but its RADICALLY different for sure not an upgrade at all . Whilst before it had a oaty slightly thickish consistency with vanilla smell and sweet but not to sweet taste.. now its a tastes synthetic not sweet at all and less thick..
79 of 80 to go Bring back the old taste . .. and to think i used to laugh at whiney customers complainign about changes. but this is a completely different product that i was used to and expected. 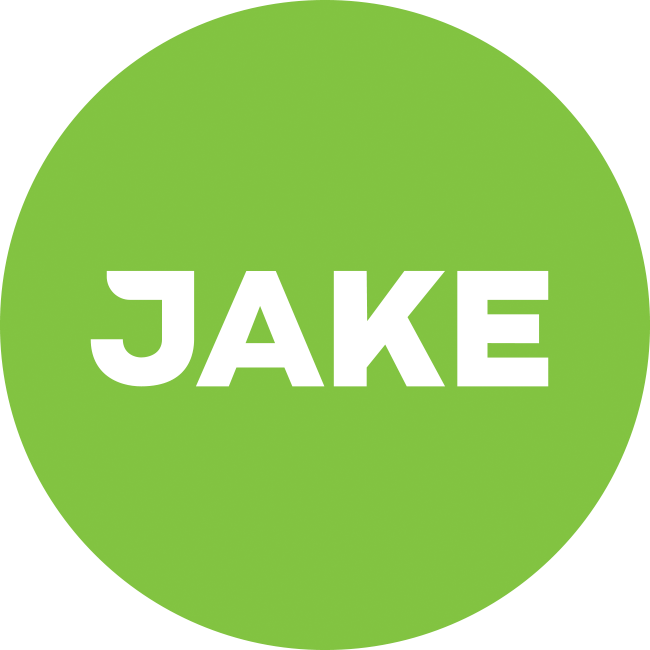 Either way, I'll continue with my vanilla jake subscription. It is still pretty good. Tastes a bit like curdled milk. I have to concentrate hard to drink it. I enjoyed the old ones, but this stuff makes me want to go back to retro food. There's no similarity between this and the previous version, and if this is what was on offer when I started, I would not have continued. it tastes artificial and cheap (a bit like the nasty "plenny shake"). I hoped that I would adapt to the new taste and I tried again he next day but I got sick to my stomach. The new flavour doesn't work for me (I drink the light shake). The old flavour fit the descriptor well - oaty with a hint of vanilla - whereas the new one tastes more like stale caramel. Much sweeter (I used to prefer the light version because it was less sweet) and with a strange caramel-ish aftertaste. Despite using only natural ingredients it manages to taste a lot more artificial than the old version. I'll try to get used to it, but it tastes bad enough that I don't think I'll order it again unless something really clicks. The old vanilla flavour had the advantage that I could drink it every day without really noticing the taste, whereas this one I had to actively force down. I'm not a fan of either of the other shakes, but at least I don't have to force down the forest fruit in the same way. I've been on 80 jakes a month for half a year now. As quick as my second order I went to 100% vanilla. Recieved the new one today, and I wish I could get my money back cause swallowing the new vanilla is a tremendous ordeal, and I cannot go a minute after eating it without eating something else just to get rid of the taste. I wish they had never changed the vanilla, it used to be so pleasing to never have to worry about lunch. my first question is - where is the VANILLA flavour gone? but the taste isn't that delicious anymore. don't know how to describe. i really hope the OLD one come back very soon & another update will be made. since a long time this is the worst version of OATY VANILLA. For me the new formula is a deal-breaker. I've already stopped my subscription, even though I find it extremely annoying having to use a scoop with a different product. What I dislike the most from the new vanilla is a side taste of lemon or so, and the lack of viscosity. With the old vanilla, I really loved it to become a little thick by either using slightly less water or waiting a little - this was the best. It felt like cookie dough (delicious! ), but I knew I would feed my body something good and balanced. The new vanilla always stays with a viscosity like milk , but tastes absolutely horrible when using less water. I share the same feeling that others have described above: the old vanilla was a pleasure, I was looking forward to it, I was enjoying it, I felt great afterwards and I didn't need anything else. The new one is a battle, and the after-taste is not enjoyable. I gave it 2 fully weeks to get used to it, but it doesn't get better. I really miss the old vanilla. Is there any chance of it coming back ? Looking at all the replies here, I'm clearly not alone with my preference. I tried my first "new" Oaty Vanilla this morning, and found that I could only drink half of it. I'm a little worried now that I have two boxes of these shakes that I don't like. I've cancelled my subscription until I figure out what to do with them. Has anyone found adding a flavour to these shakes successful in making them more palatable? I'm thinking maybe PB Fit or a shot of black coffee to bring the sweetness down. Thanks for sharing your honest feedback on the new vanilla shakes. This is very helpful for us, as it gives us the chance to improve. I do have to say, please do not expect the 'old' vanilla shake to come back anytime soon. Luckily, our new supplier is very flexible and we are still able to make alterations to the taste. This means that your feedback is very valuable for us and we will take all of it into account. How come it didn't show on the webpage that the flavor changed? I've been drinking jake every day for about half a year now. Just ordered another 40 bags for the coming month, but the taste is totally different! Really, it tastes like soap. Can I recieve my 98.10 euro's back for this order? I'm happy to send the box of 40 (-1) bags back to you!